Just like the Spotted Owl, the Greater Sooty Owl is one of the few owl species that has dark eyes. Most other owls have yellow or orange/red eyes. There is still a lot to learn about the Greater Sooty Owl! 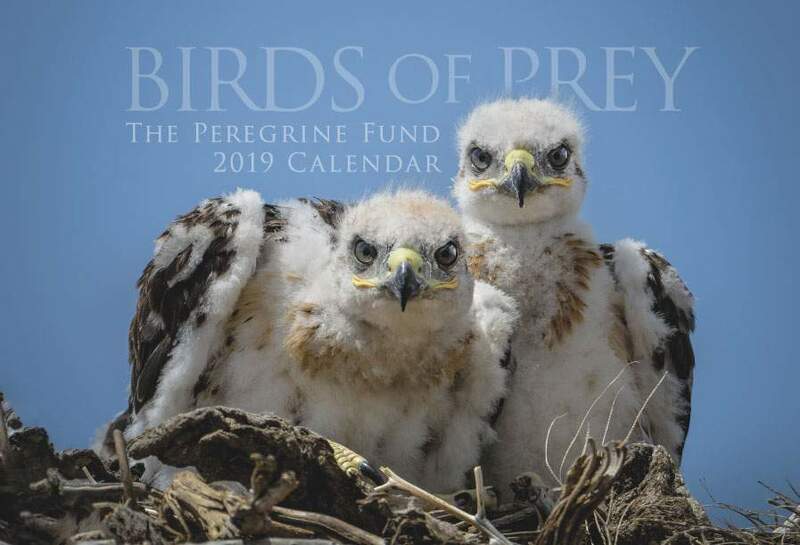 Though The Peregrine Fund doesn't work directly with Greater Sooty Owls, our efforts in scientific research, habitat conservation, education, and community development help conserve birds of prey around the world. We also supply literature to researchers from our avian research library, which helps scientists around the world gather and share important information on raptor conservation. The Greater Sooty Owl is found mainly in parts of Australia and New Guinea. In Australia, it spends most of its time in wet forests characterized by deep ravines, and eucalyptus trees. However the exception to that is when it is hunting. When on the lookout for, or actively chasing a meal, this owl heads to drier forest. The Greater Sooty Owl population of New Guinea is found in lowland forest, montane rainforest and pine forest. Similar to individuals in Australia, the Greater Sooty Owl in New Guinea will pursue prey in different habitat than that in which it otherwise lives. In this case, it will travel to subalpine or alpine grasslands, fields and ridges when on the hunt. The Greater Sooty Owl is a medium-sized owl with large, dark eyes. It is overall dark in color, with the exception of the small white dots along its head and wings. It has a large facial disk that varies in color from silvery to gray to dark black. Like most owls, the Greater Sooty Owl is strictly nocturnal - meaning it hunts, flies, and is otherwise actiive only at night. Unlike some owls which can be seen roosting in perches during the day time, this owl prefers to hide away completely - spending its day in caves, the hollows of tree trunks, or high up in trees with super dense foliage. Like most bird species, the Greater Sooty Owl has a range of different calls, vocalizations and songs in its musical repertoire. It has calls to alert for danger, to declare its territory, to communicate with its mate, and, especially in the case of owlets, to let their parents know when they are hungry. One of the typical Greater Sooty Owl calls has been described as a long, descending scream akin to the sound of "a bomb dropping." The Greater Sooty Owl is considered a species of Least Concern. This means scientists aren't worried about this species becoming endangered in the near future, at least. However, as with most species, the Greater Sooty Owl is threatened by habitat loss and even changes in habitat make-up brought about by climate change and human activities. The Great Sooty Owl feeds mainly on mammals. Some of the mammals it prefers are arboreal species - meaning they spend most of their lives in trees. The Greater Glider, Ringtail Possum and Sugar Glider are all on the menu for this medium-sized owl. But its hunts aren't limited to only catching food in trees. 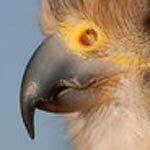 It will also hunt mammals on the ground, as well as birds, bats, and insects. Scientists believe that the dietary habits of the Greater Sooty Owl have changed since humans began to settle near and within its habitat. This may be because humans can more easily hunt and kill terrestrial animals - thereby reducing their populations, leaving Greater Sooty Owls with no choice but to trap more arboreal animals. The Great Sooty Owl doesn't build its own nest. Rather, it nests in tree cavities or sometimes in a cave. The female will lay 1-2 white eggs on natural substrate and debris. After the eggs are laid, they must be incubated for over a month - around 42 days. Incubation - when the adult sits on the eggs to keep them safe and at just the right temperature, helps ensure that the embryos will grow to be healthy hatchlings. Even though the female lays up to 2 eggs, scientists have found that normally, only one of these eggs hatches. Once the owlet has hatched, it will grow very quickly over the following three months, at which point, it will be ready to fly for the first time. After it begins flying, it will still be dependent on its parents for several more months as it learns to hunt, avoid dangers and otherwise survive all on its own. Though the Greater Sooty Owl doesn't live anywhere near Boise, Idaho, you can still learn a lot about owls with a visit to our Velma Morrison Interpretive Center at The Peregrine Fund headquarters. 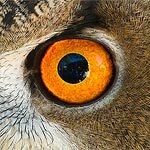 The visitor center at our World Center for Birds of Prey includes owls among its avian ambassadors, including a Eurasian Eagle Owl, a Verreaux's Eagle-owl and a Western Screech Owl. This is a great chance to see owls up close and learn about the wonderful and interesting adaptations they have in order to survive in their respective habitats. There is also a touch table with owl feathers and other natural objects available for exploration.